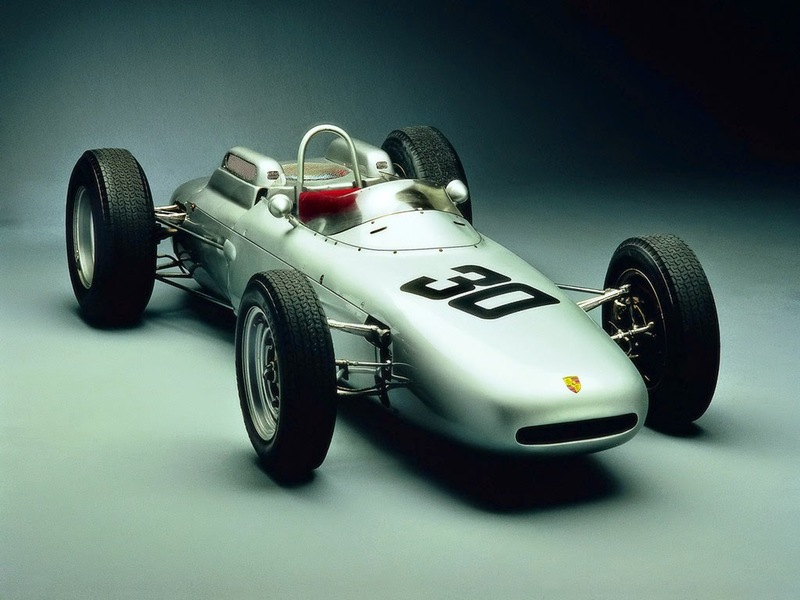 In 1958, Porsche entered Formula 2. 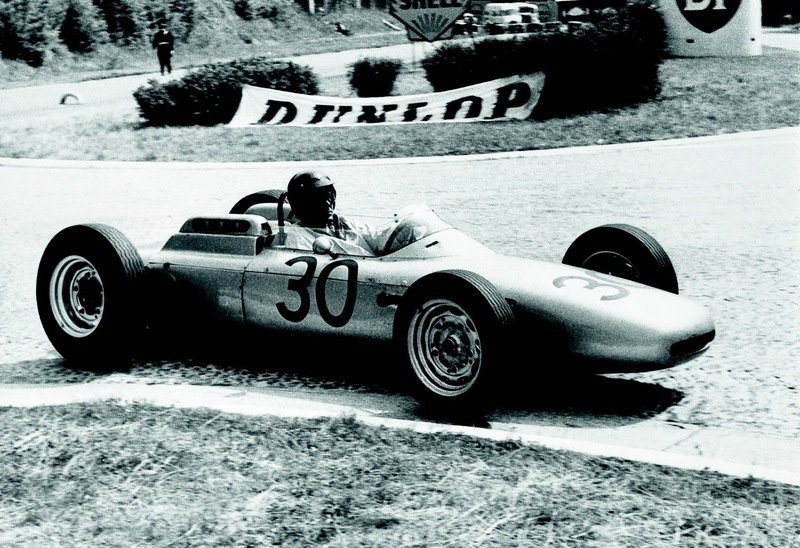 With Jo Bonnier and Stirling Moss driving, Porsche was successful in its F2 endeavors. 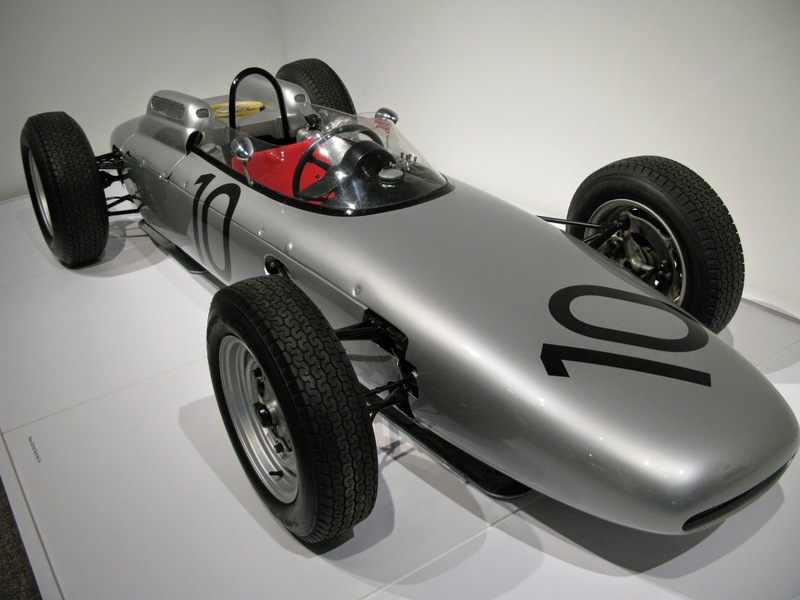 Beginning in 1961, F1 rules changed to resemble prior F2 regulations, and these rule changes enabled Porsche to conveniently pursue F1 racing. 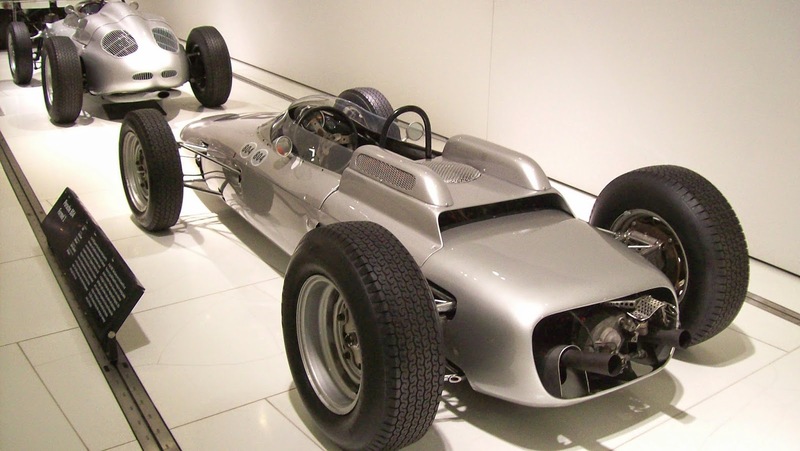 The 1961 F1 regulations called for a maximum engine displacement of 1,500cc. Porsche decided to develop an entirely new engine for its F1 debut, and chose a flat-eight configuration. Designated Type 753, the 1,494cc engine was air-cooled in proper Porsche tradition. Its block was constructed of magnesium alloy. The mill used separate aluminum cylinders to better engine cooling, and each cylinder was topped by its own aluminum alloy head with two valves. The twin overhead camshafts operating the valves on either bank of cylinders were actuated by shafts instead of by a belt or chain. Type 753's horizontal cooling fan was mounted above the cylinder banks and surrounded left and right by the eight polished velocity stacks of four Weber carburetors. With the engine cover removed, this arrangement made for a dazzling display of air-cooled pride. Type 753's internals were designed to withstand 10,000rpm, which was essential as peak power of 180hp was not reached until 9,200rpm. The Type 753 engine transmitted power through a 6-speed gearbox with a limited-slip differential. 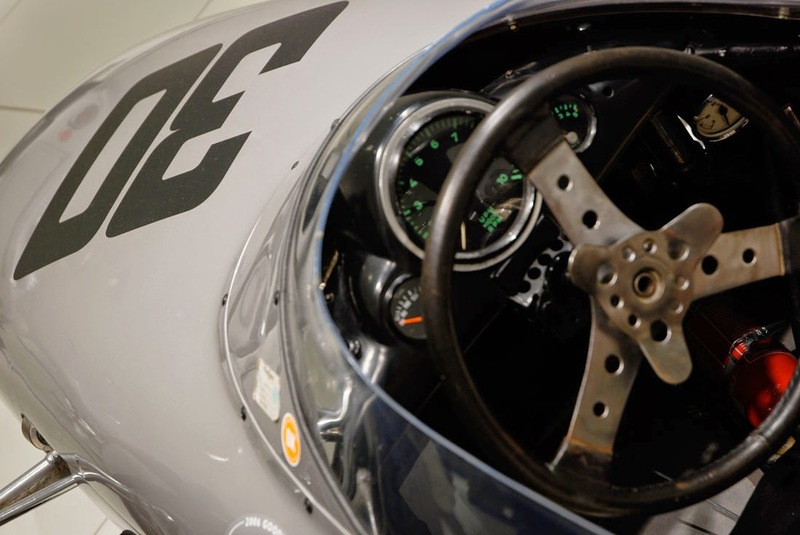 It was mounted behind the cockpit of the Porsche 804, the car with which the Stuttgart miracle brand was to enter F1. 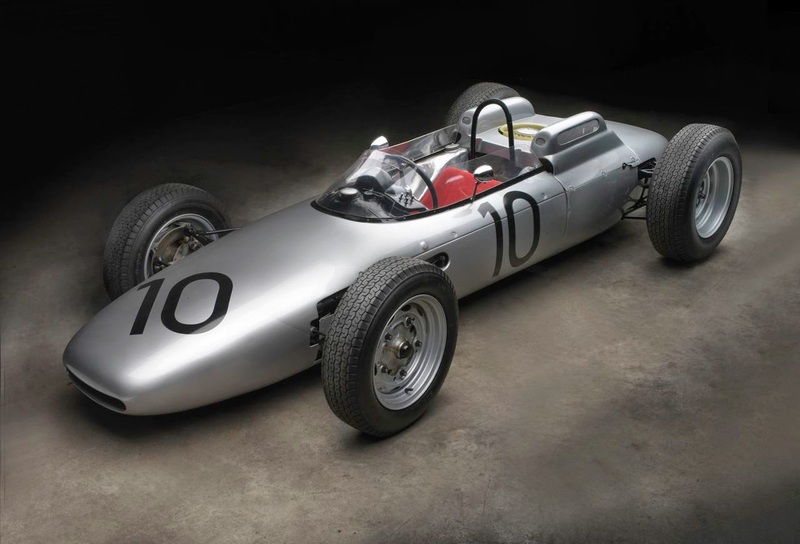 All of the 804's mechanical bits were housed within a steel space frame clothed in sleek aluminum bodywork. Suspension was by double wishbones front and rear, using torsion bars and inboard shock absorbers. The front torsion bars were longitudinally mounted, but the transverse rear unit served double duty as an anti-roll bar. Disc brakes and rack-and-pinion steering completed the capable package. 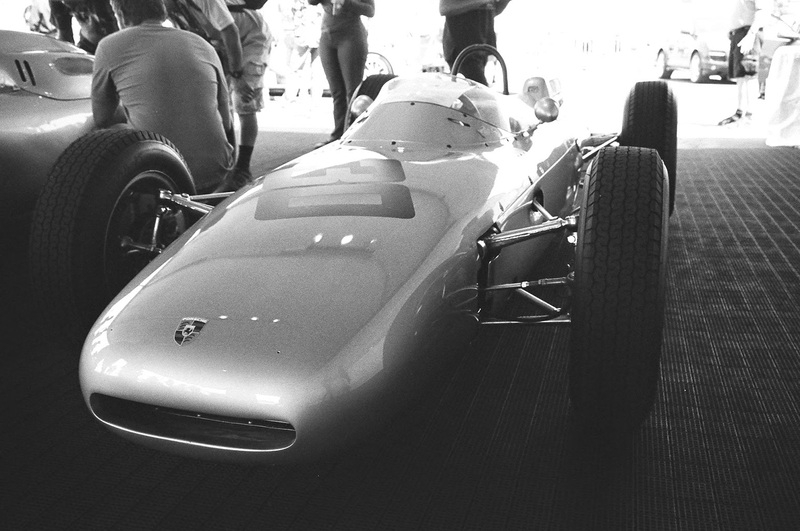 Racing success followed after Porsche debuted its 804 for the 1962 season. 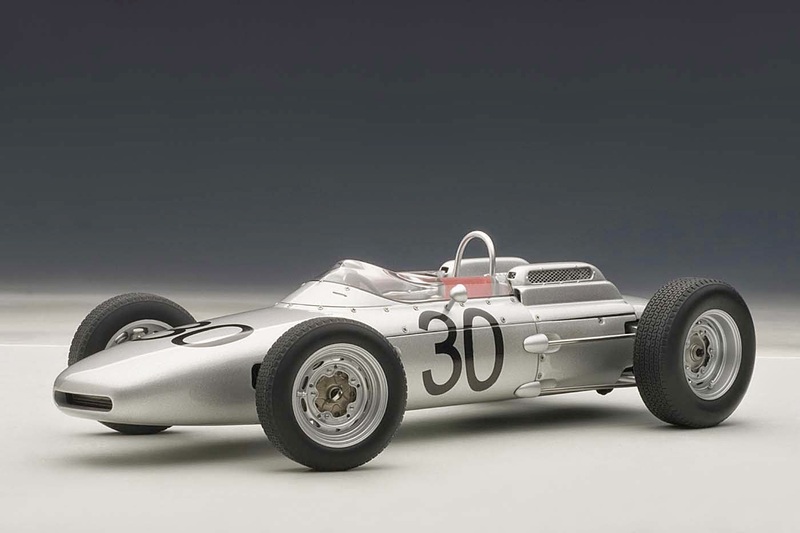 With Dan Gurney driving, a Porsche 804 emerged victorious from the French Grand Prix in Rouen. Just a week later, Gurney and an 804 again captured a first-place finish, this time at the Solitude racetrack in Porsche's hometown. There were 300,000 excited witnesses to this latter win. Porsche retired from Formula 1 just as abruptly as it entered, pulling out at the end of the 1962 season. The team had been successful, but Porsche could not justify the heavy expenditures necessary to the development of competitive F1 products. Porsche felt that little of its F1 technology could be translated to its street cars, prompting the brand to shift its racing focus back to the grand touring and long-distance events that it considered essential to the development of advanced road cars. The 804 was a short but successful chapter in the rich history of Porsche. It may have been the only Porsche ever able to secure a Formula 1 win, but it at least proved that the brand could be successful even in racing styles to which it was not accustomed. Porsche constructed four examples of its 804, racing three of them. At least three are believed to survive.